Coldingham beach is 3 minutes’ walk along a “secret path” which runs along the side of the property through some woods and along a stream. This award winning Blue Flag beach, is sandy with rock pools and is great for surfing. St Vedas surf shop hires surfing equipment, runs lessons for adults and kids and has a bar/café with showers and changing rooms. There is a beach cafe open during the summer. Coldingham village, a peaceful Conservation village with ruins of a 10th century Abbey, is an easy 10-15 minute walk from the beach. It has two pubs and a fish restaurant, village shop, book shop café, antique shop, hairdressers and butchers. 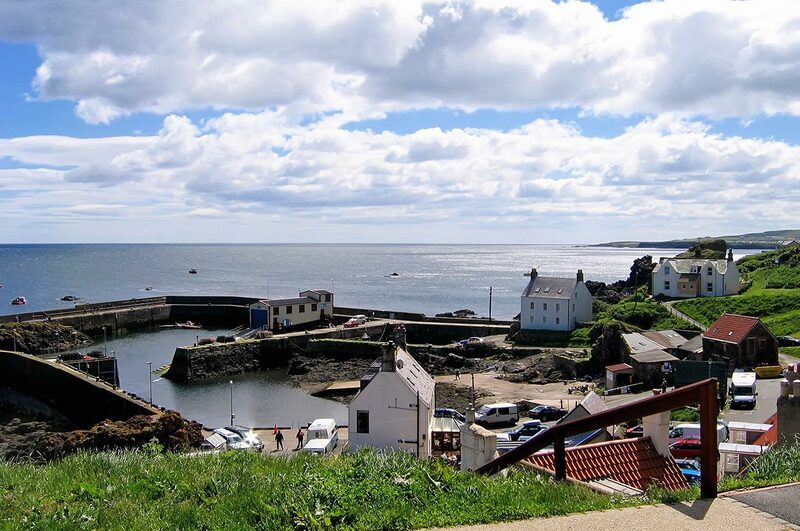 Berwickshire is great for walking with picturesque fishing village, St Abbs, a lovely 15 minute walk along the rugged coastline, which with its crystal clear waters is a well-known scuba diving area. The adjacent headland with its towering cliffs is a noted National Trust Nature Reserve boasting a wide variety of bird life. Eyemouth fishing port is a short walk in the other direction and is one of the busiest fishing ports in Scotland with a morning fish market where you can buy fresh fish, crab and lobster. Sightseeing trips to spot seals and puffins operate too from Eyemouth with regular trips for divers too. As well as the harbour, Eyemouth also boasts a sandy beach with rock pools. With more than 30 miles of beaches it is an area of outstanding beauty and has more castles than any other county in England. 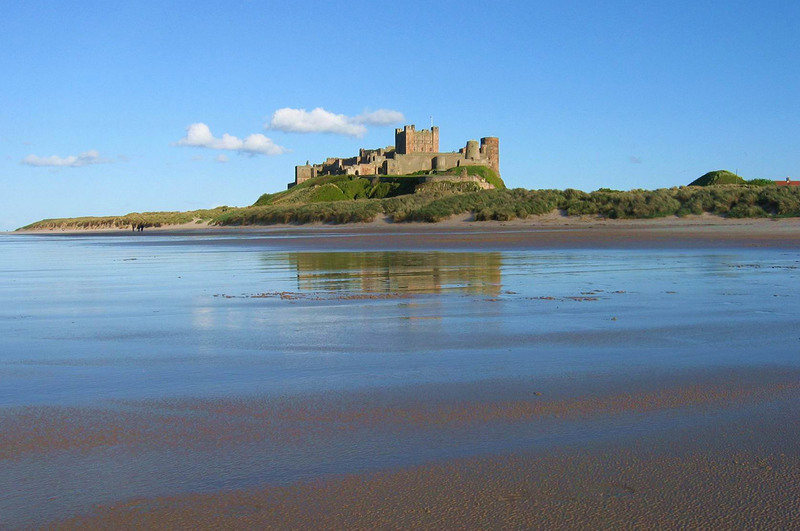 Drive across the causeway to the unique Holy Island of Lindisfarne and National Trust castle or visit Bamburgh castle which overlooks the Farne Islands and Lindisfarne and having vast sandy beaches it was voted one of the North East’s top surf spots. Discover retro-chic seaside towns such as Seahouses and picturesque fishing towns like Newton-by-the-Sea. Inland, there’s the medieval market town of Alnwick, with its castle, celebrated garden and vintage shops where some of Harry Potter was filmed. 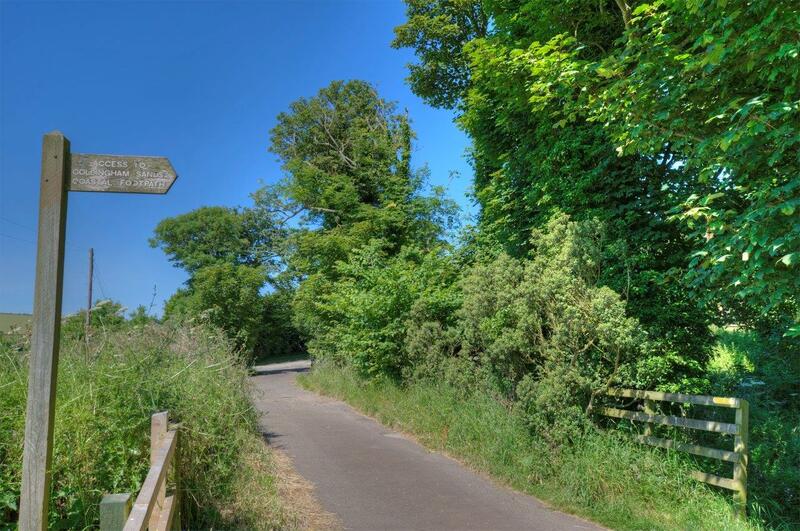 The estates, centred around the villages of Ford and Etal, boast a number of attractions including a castle, a world famous battlefield at nearby Flodden Battlefield, and a steam railway. 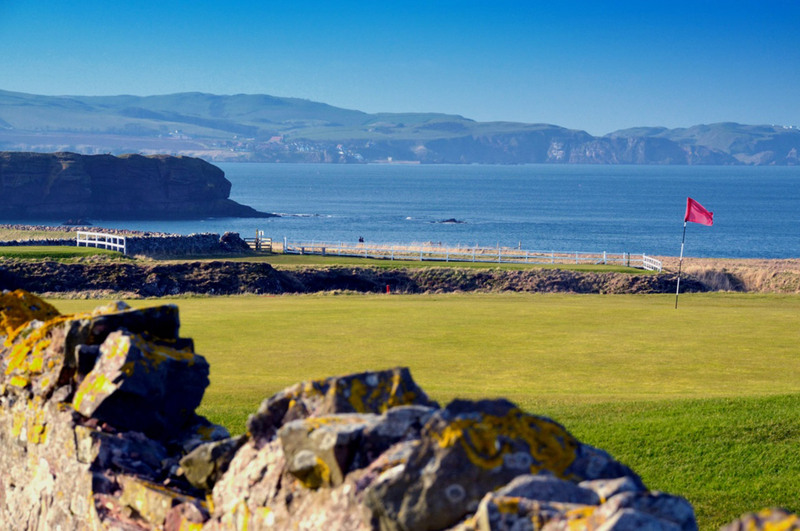 Eyemouth Golf club is 7 minutes drive away. It was recently voted the Borders’ friendliest golf club with its famous 6th hole, a par 3, was included in the top 18 holes in Scottish Golf 2015.Goswick, a championship golf course and Duns golf course are both just 20 minutes away. Berwick-upon-Tweed, just 15 minutes’ drive away, is arguably England’s most dramatic walled town. 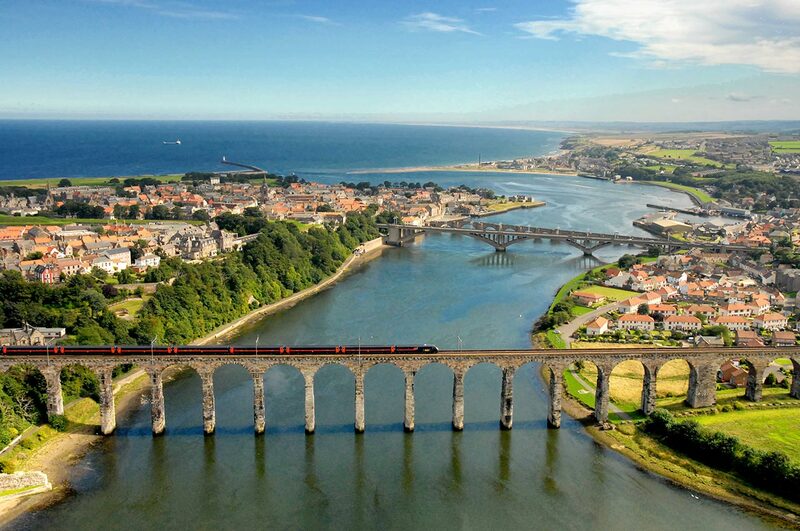 Walk almost the full length of these walls, taking in spectacular views across the River Tweed estuary and Berwick’s famous landmark, The Royal Border Bridge, built by Robert Stevenson and hailed as one of the finest bridges of its kind in the world.